All OAKWOOD COVE ESTATES homes currently listed for sale in Sandy as of 04/26/2019 are shown below. You can change the search criteria at any time by pressing the 'Change Search' button below. "LOCATION + MOUNTAIN VIEWS - LOCATION+ MOUNTAIN VIEWS!!! 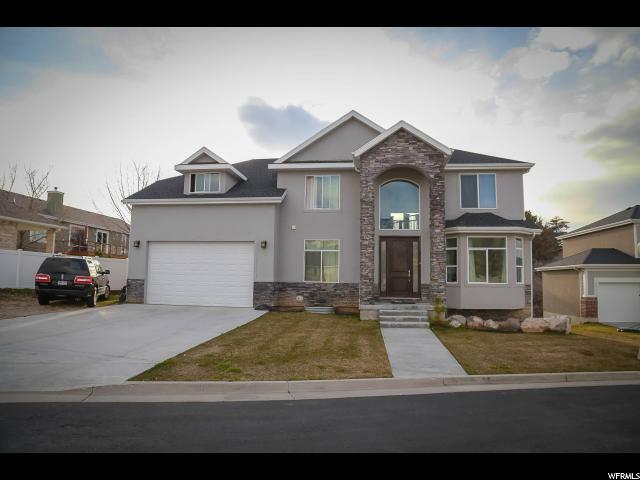 Beautiful luxury custom built two story home in East Sandy down a private lane with stunning MOUNTAIN VIEWS from all bedrooms and living room. We built this custom home from planning to make sure all bed rooms will have the clear mountain view, huge master bedroom with attached Coffee Room with Mountain views. Hardwood floors lead you past a living room and straight to an open space family room with natural light, high ceilings and big windows. Main level has entry hallway, living room, family room, dining area, kitchen and guest bedroom with attached bathroom & shower. Huge kitchen with kitchen island and walk-in large pantry, stainless steel appliances, gas cooktop with hood. Upper level contains 3 bedrooms including Master bedroom, Washer & Dryer Room, Prayer/Storage Room. Open space flooring, Granite countertops, Hardwood flooring and tiles at main level and carpet in the second level, walkout basement. Home theater wiring in Family Room and Master Bedroom, Ethernet Cable in Basement, Family Room and Master Bedroom. There is a huge deck and landscaped large backyard. Buyer to verify all information. "